More than $2.2 billion in retroactive benefits has been paid to nearly 89,000 Vietnam War veterans and their survivors for claims relating to Agent Orange exposure, Veterans Affairs Secretary Eric Shinseki said Wednesday. In Aug. 2010, VA added ischemic heart disease, hairy cell leukemia and other B-cell chronic leukemias and heart disease to the list of diseases presumed to be related to Agent Orange exposure. A 2008 study by the Institute of Medicine indicated a link between exposure to Agent Orange and the subsequent development of one or more of the three conditions. VA said potentially eligible veterans include those who were exposed based on duty and visitation in Vietnam or on its inland waterways between Jan. 9, 1962 and May 7, 1975. Veterans exposed along the Korean demilitarized zone between April 1, 1968 and Aug. 31, 1971 are also eligible. 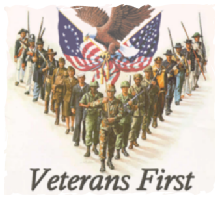 Shinseki encouraged potentially eligible veterans to apply on VA’s Agent Orange claims processing website.